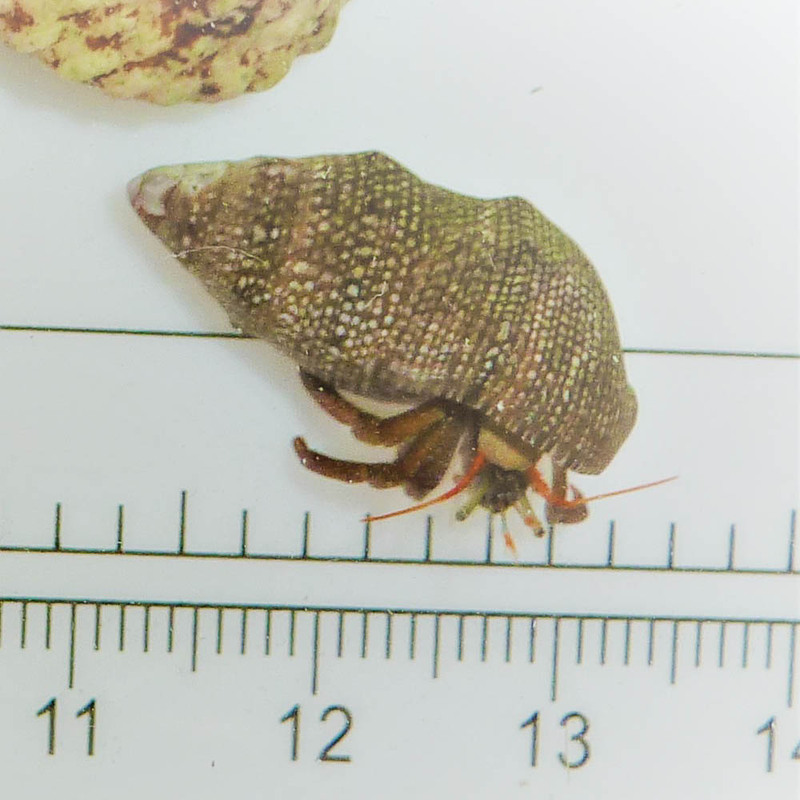 Approximate Purchase Size: 1/2" to 1"
Notes: Much like the Blue Leg Hermit it is known to eat detritus, aquarium food, decomposing material and various forms of algae (diatoms, green hair and cyanobacteria). Sifts through the top layer of sand in the aquarium. I purchased the red leg hermit crabs to go in my clean up crew and they are great! the price is better than any other place and so far everything is going great and I am very satisfied with the purchase. I would purchase these again.